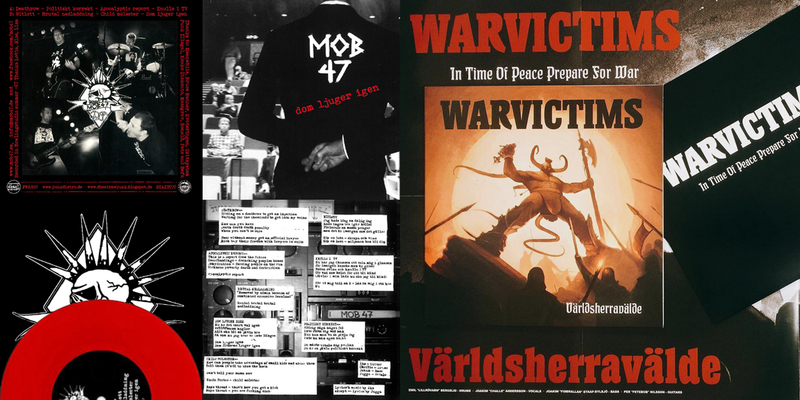 Mob 47 - 7" and Warvictims - 12"
"Dom ljuger igen" by Mob 47 was originally released by Communichaos in 2008, but has been sold out for several years. Here's a smoking fresh repress, total press 1270 (1050black and 220red). Co-released with Farewell. I got a few spare tour edition screen printed covers that I will include for free as long as it remains to all who buy the red mailorder version. New Warvictims 12", who would've guessed? Not me. Anyway, here it is. Eight new tracks released by Nuclear Fear Records. My inbox is not what it once was, it's worse than ever before. In time, I'll catch up. Thanks for your patience.